Where did Jayden get the idea of selling lemonade for charity? It may have helped that her father, Jon Sink, founded the humanitarian organization FRESHCASSETTE – Creative Compassion, which raises money for charities such as World Bicycle Relief and The Water Project by distributing free music and requesting donations from anyone who enjoys it. What charity did Jayden’s lemonade stand benefit? The money from the fundraiser went to Planting Peace, whose international projects include support for orphanages and safe havens, deworming programs, and anti-bullying campaigns. 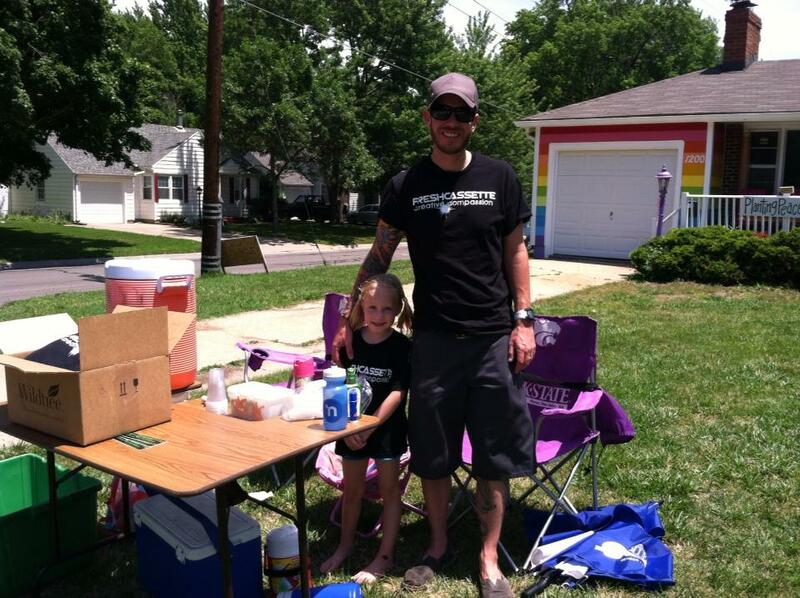 With permission, Jayden and her father set up their lemonade stand in Topeka, Kansas, on the front lawn of “Equality House,” which is owned and operated by the Planting Peace organization. The locals showed up in droves to buy Jayden’s lemonade. For her, it was like a magical fairy tale—a little slice of heaven! But not everyone thought her lemonade stand was heavenly. In fact, the neighbors across the street didn’t like it one little bit. They tried their best to squash little Jayden’s lemonade stand. They thought it came straight out of hell. Okay, they weren’t really wicked witches and warlocks. And this is real life, not a fairy tale. The neighbors across the street who didn’t like Jayden Sink’s lemonade stand were members of the Westboro Baptist Church. Yes, the “church” that goes around the country picketing military funerals, waving strident anti-gay posters, and shouting insults and obscenities at those whose lives they don’t approve of. When the members of the Westboro Baptist Church heard about Jayden’s fund-raiser, they did their best to put a stop to it. They called the local police to try to get it banned. That didn’t work. So they resorted to their usual tactics of shouting insults and obscenities to try to get Jayden, her father, and the visiting crowds of lemonade-lovers to go away. In fact, the event went viral, and raised far more money via the Internet than it did selling lemonade to the locals. 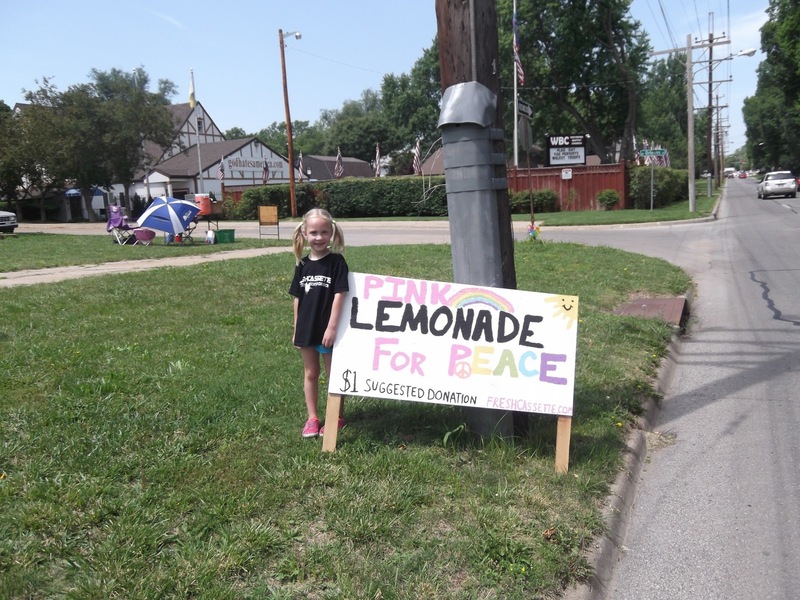 Now the web is abuzz with people wondering how lame is a church that tries to shut down a five-year-old’s lemonade stand, and whether it is irresponsible for parents to involve their young children in social activism and conflict. Lemonade stand: heaven or hell? Those discussions and debates will rage on. What really struck the two of us about the encounter between Jayden and the Westboro Baptist Church was how differently each side perceived the same event. For Jayden, her father, and all the people who supported their charitable fundraiser, it was a wonderful, heavenly event that showed the goodness and generosity of human hearts. For the members of the Westboro Baptist Church, it was a terrible, insulting affront to their church and to humanity sponsored by moral reprobates who are going to hell in a handbasket. In other words, one girl’s heaven is another man’s hell. Are heaven and hell really just a matter of perspective? Is it all relative? In some ways, yes. Whatever we love and enjoy, we think of as good and heavenly. Whatever we hate and find loathsome, we think of as hellish. For some, a nice juicy steak is heaven, while a plate of tofu stir-fry is hell. For others, it’s just the opposite. For some, faithful, committed, monogamous marriage is most heavenly. For others, monogamy is a hellacious bore, and if there is a heaven, it must offer an unending supply of sexual partners. For some, doing useful work that serves their fellow human beings provides heavenly joy every day. For others, the workday is hell, and heaven begins when it’s finally time to relax afterwards. Of course, some of our different perceptions of whether things are heavenly or hellish are just matters of taste. To quote the old saying correctly, “One man’s meat is another man’s poison.” If some people like meat and potatoes and others like tofu and vegetables, everyone can eat the foods they like, and everyone will be happy. However, this very thought leads to the real, non-relative difference between heaven and hell. When we are in a heavenly state of mind and life, we gain our joy by giving joy to others. When your joy is my joy and my joy is your joy, then everyone’s happiness is increased by everyone else’s. It all adds together to create greater happiness and joy the more people who participate in it. In heaven, everyone can be happy all at once, and everyone’s happiness grows. When we are in a hellish state of mind and life, we gain our pleasure by giving others pain. If others have things they enjoy, we enjoy taking those things away from them. If other people are happy, we want to hurt them and destroy their happiness. When my pleasure is your pain and your pleasure is my pain, conflict is inevitable. In hell, where some people’s happiness depends on other people’s misery, no one can stay happy very long. So was Jayden’s lemonade stand heavenly or hellish? Looking at this picture, the answer seems obvious to us. We’d love to hear your thoughts on the subject. ‹ What is the History and Importance of Bethel in the Bible? I think any religion or belief system that scares or intimidates children has a lot of thinking to do about motives! We all have the potential for destruction and jealousy and if it is buried deep in the shadows rather than acknowledged, it can lead to us being manipulated by the darker forces – a particular risk with ‘fundamentalist’ religion of all kinds. Thank you Lee for another insightful and challenging article. Thanks for your thoughts. I entirely agree. I am reminded of Jesus’ saying: “It would be better for you if a millstone were hung around your neck and you were thrown into the sea than for you to cause one of these little ones to stumble” (Luke 17:2). I would be very interested to hear what these folks from Westboro Baptist find so bad about a lemonade stand to make money to donate for what seems likely obviously good causes? Is it because of one of the “causes” they disagree with? Or is it because of a “commercial” transaction so close to their church? What is pulling their triggers and why do they all agree so readily to attack it? I understand to a point why fundamentalists get in an uproar about gay rights and why someone might object to the war actions of our military, but why about a lemonade stand? Is it actually the Planting Peace organization they object to, and what about peace do they object to? Thanks for your questions. Though the reasons Westboro Baptist Church opposed the lemonade stand are tangential to the point we wanted to make in the article, it’s a good question. 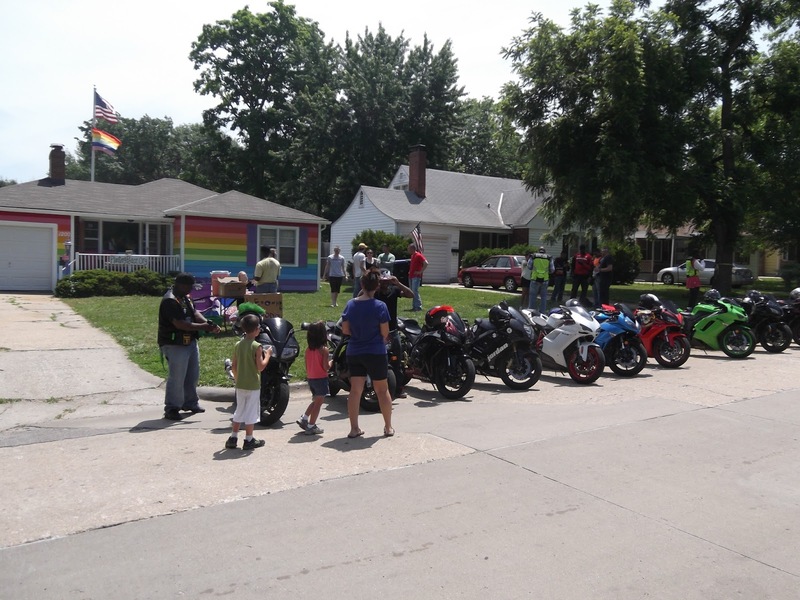 The answer lies in the fact that the Equality House was set up by Planting Peace and one of its founders, Aaron Jackson, as a countermeasure to Westboro’s anti-gay activities, as you can see if you follow this link to its page at the Planting Peace website. However, the example of opposite views on that particular lemonade stand is just one of many examples that could be brought forward in which the same person, organization, or event is viewed as heavenly by some people, but hellish by others. I’m sure you’ve observed a number of examples of this phenomenon in the course of your life. I looked at the web site of Planting Peace, and along with your explanation, the origin of the conflict is more clear to me now. I agree that there are many, many circumstances where drastically different opinions of the same events by different groups of people is operative. In fact, I would venture to say this is the story of human life on earth, at least in the last few millennia. It is certainly true that each of us interprets our world and reacts to it according to the system of beliefs we have internalized as the correct way to live and the correct way to interpret the world’s events. I do not think that different world views must inevitably spawn conflict, though. To me, one of the key aspects of any viewpoint is whether it allows for others to hold alternative views without being threatened and motivated to attack those who see things differently. Why do many of us believe that everyone must think the same as we do? Why do some of us insist on the conformity of everyone else, along with believing that what they must conform to is our particular expectations and way of life? I do not think this kind of intolerant attitude is necessarily part of human nature. But it does seem to be an integral part of many religious systems, and even some economic teachings. Why are so many teachings so attached to a demand for sameness? This question seems to me to be at the heart of most human conflict and a big part of our inability to live together in peace.